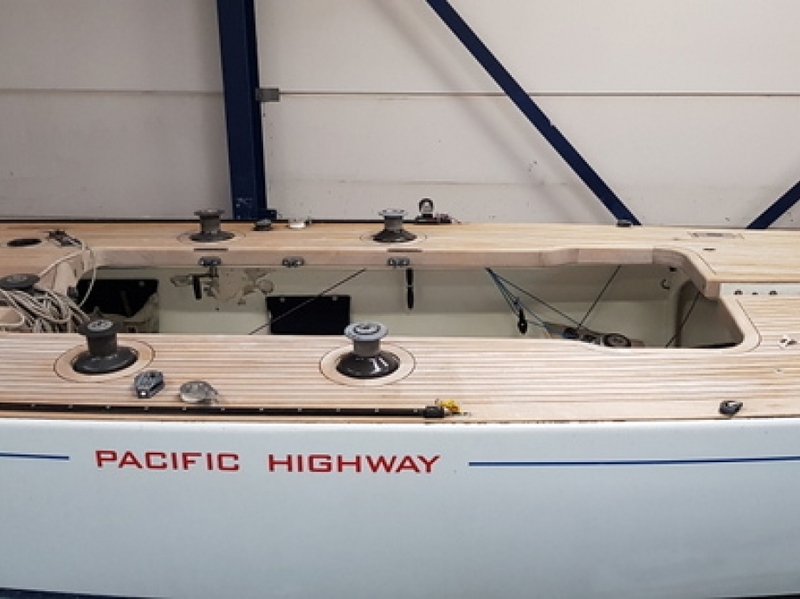 Designed by Ed Dubois/Ben Lexcen and built in Australia by Albatros Sydney, Pacific Highway is probably one of the most beautiful Moderns around. 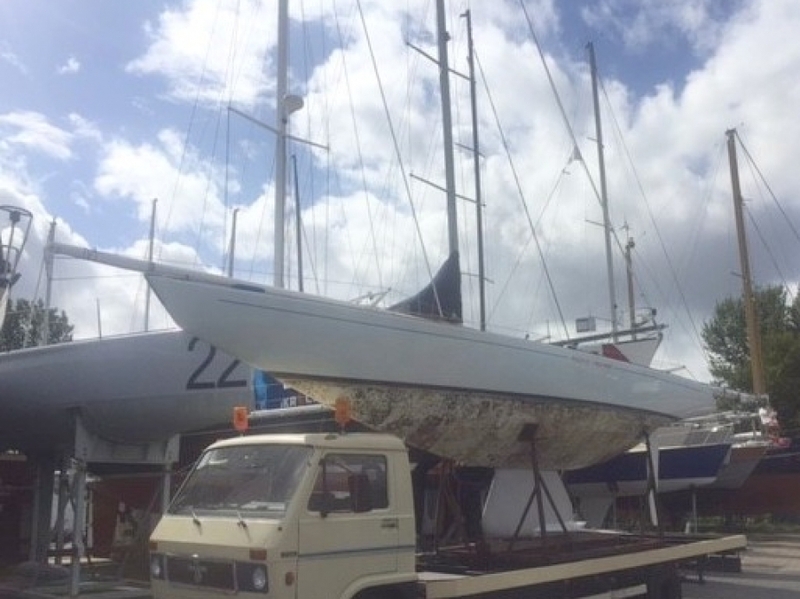 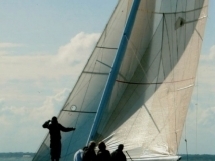 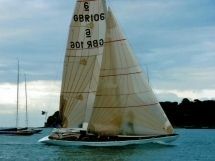 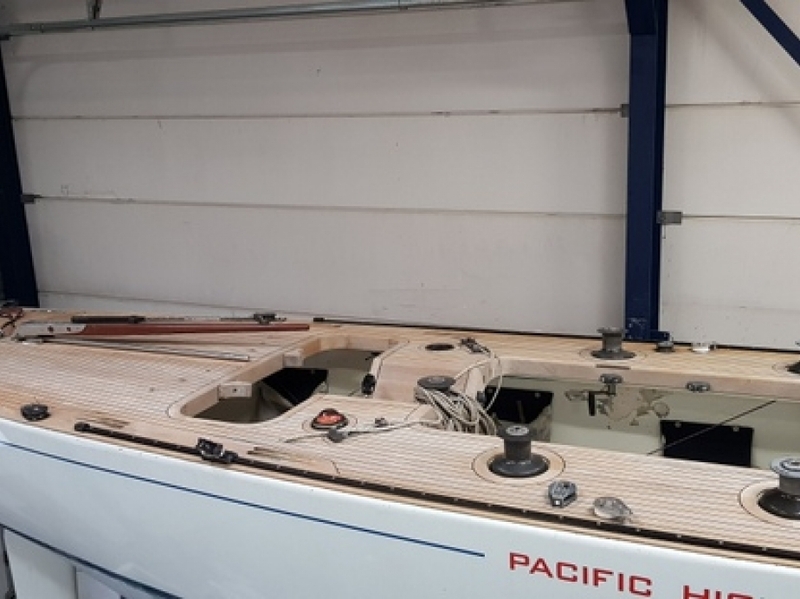 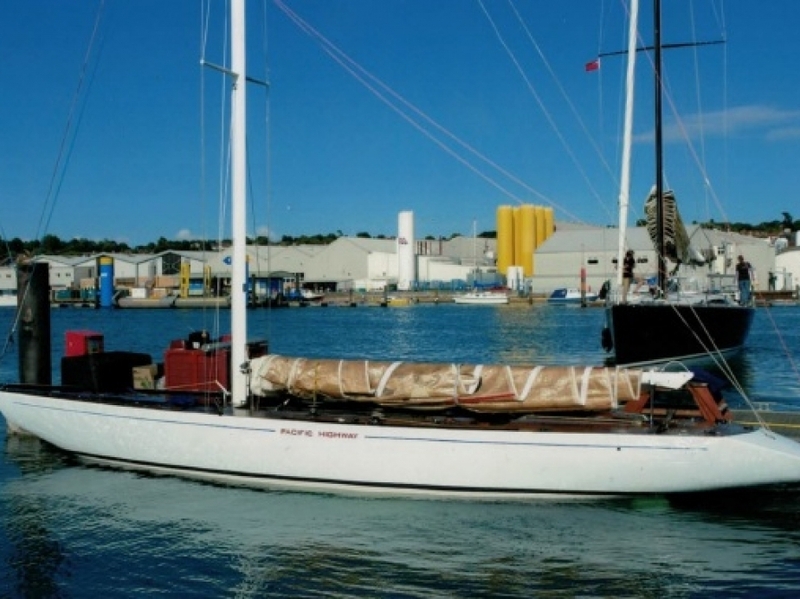 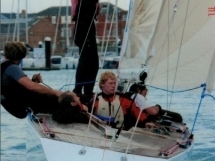 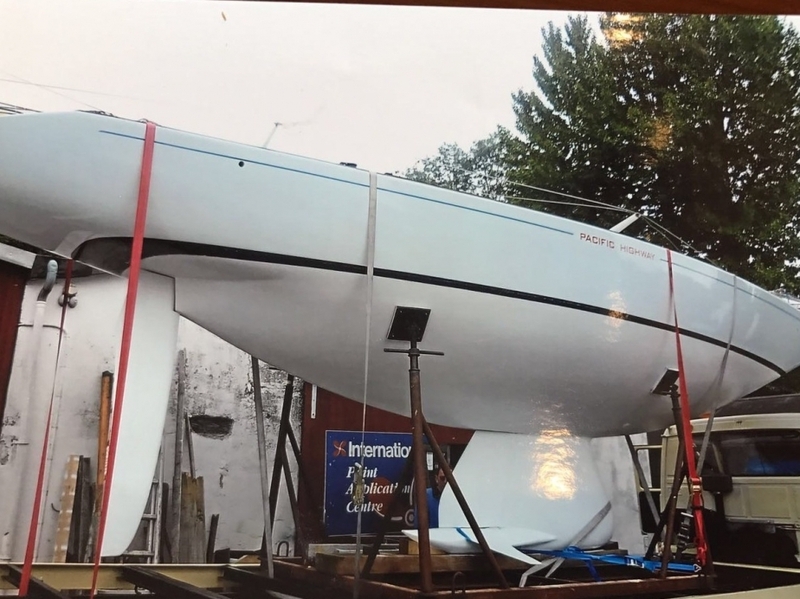 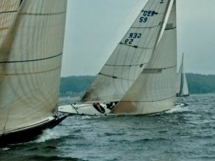 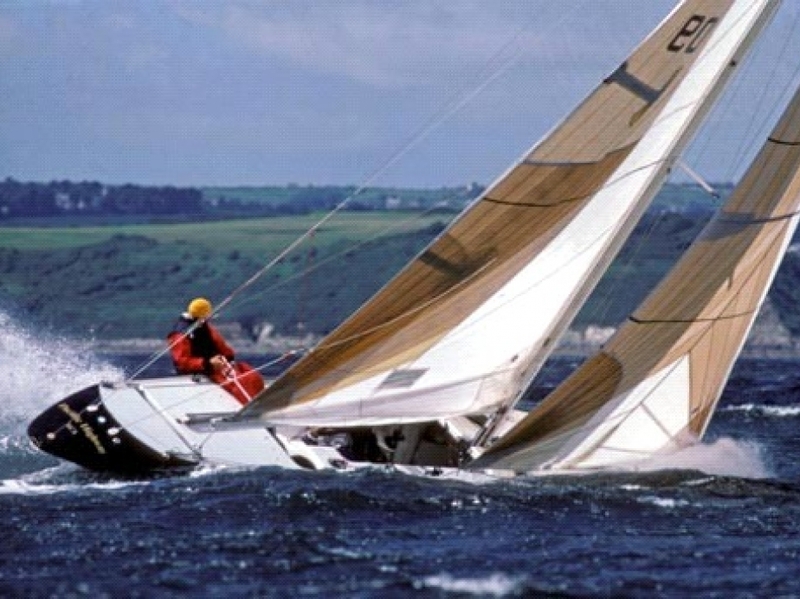 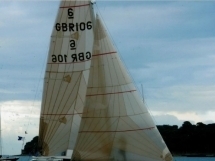 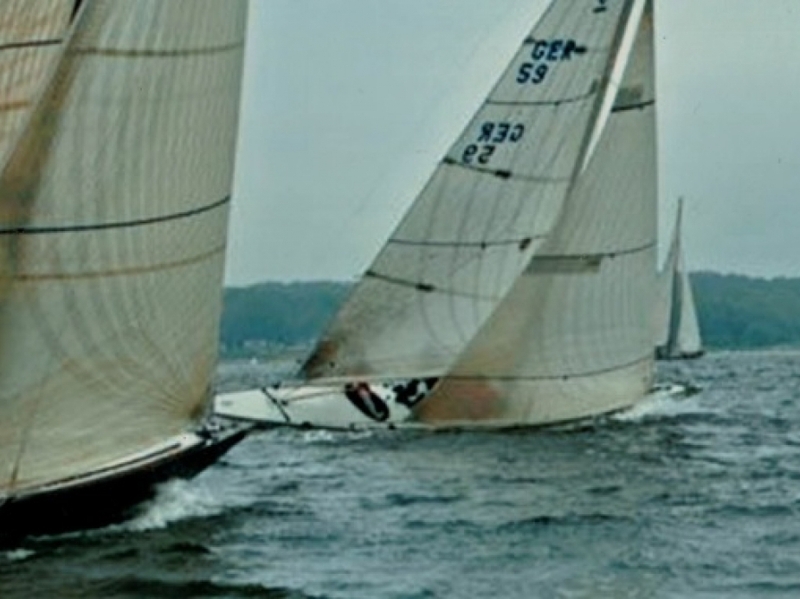 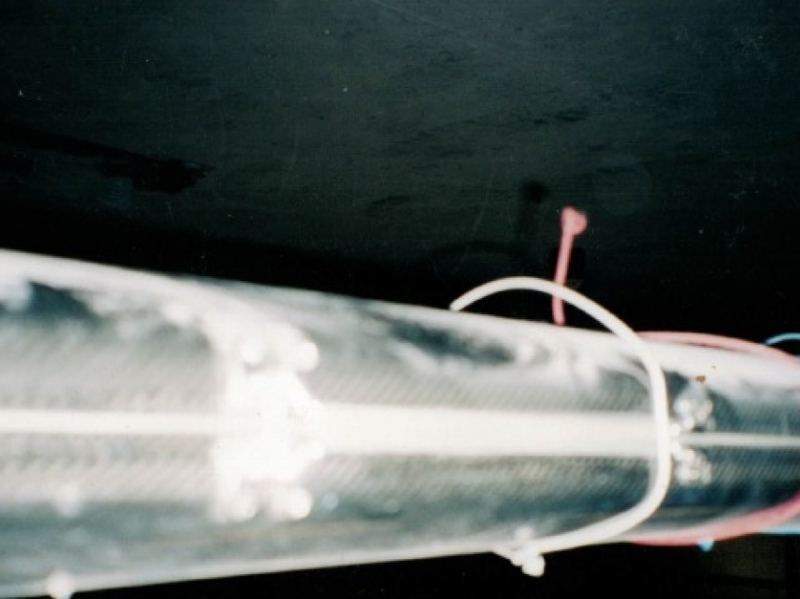 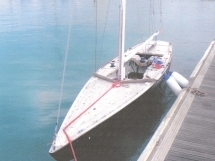 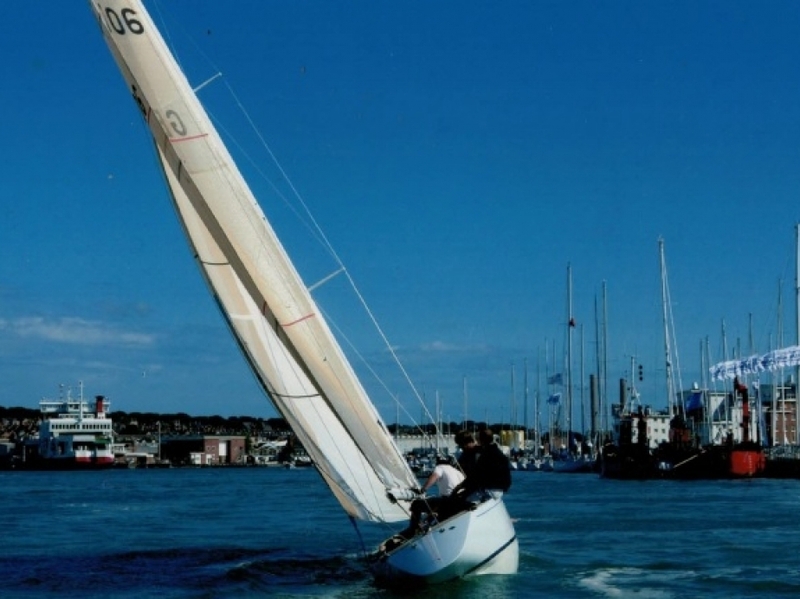 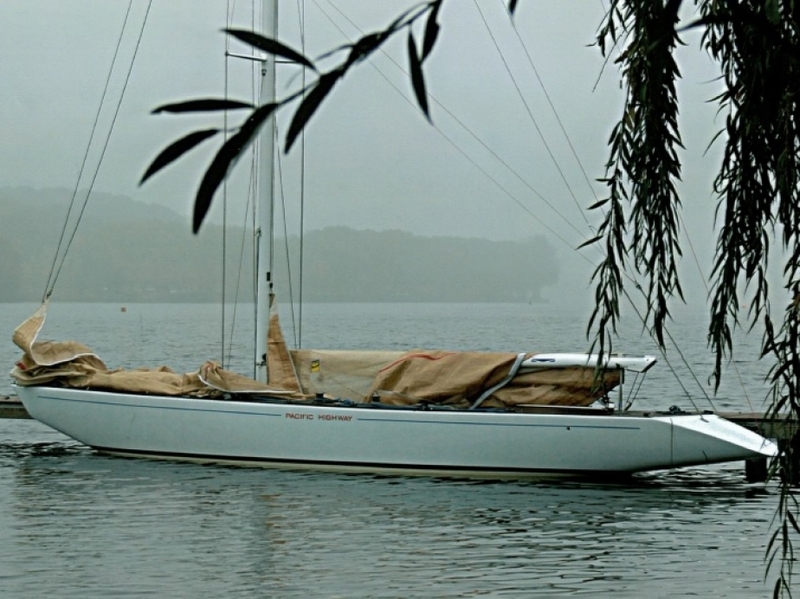 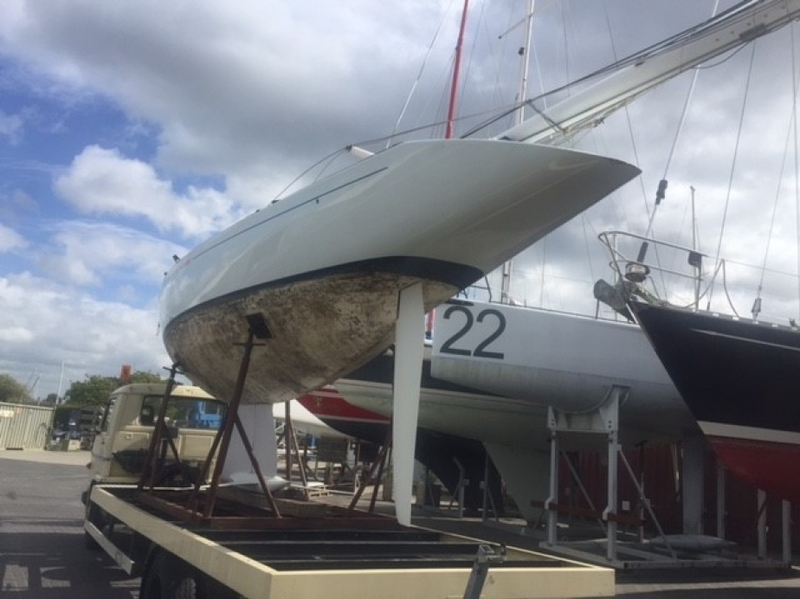 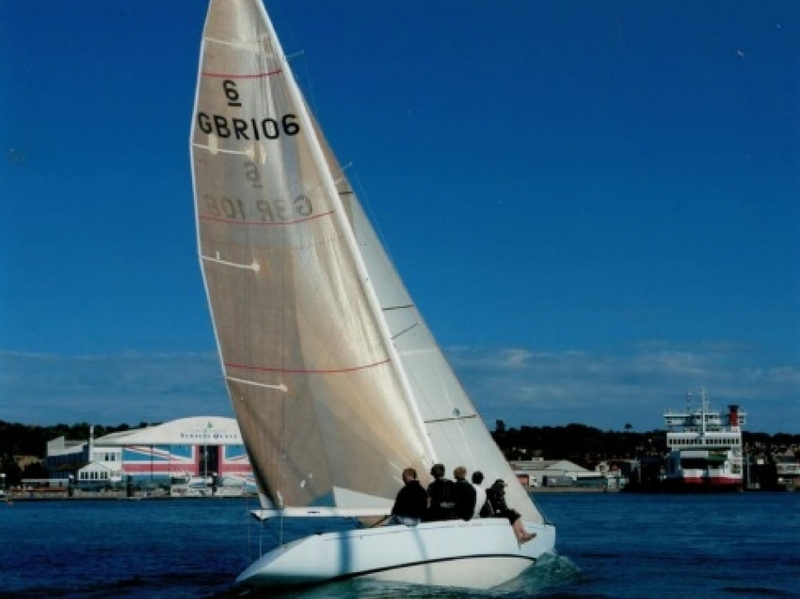 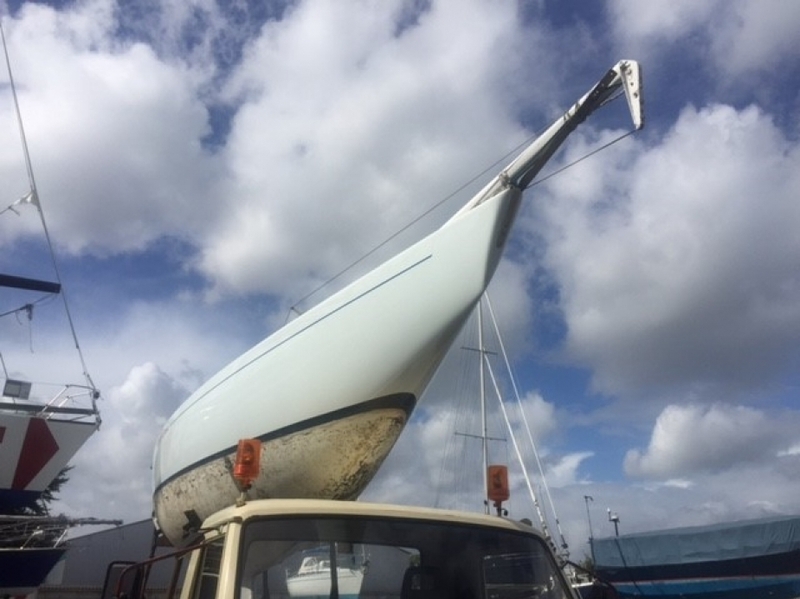 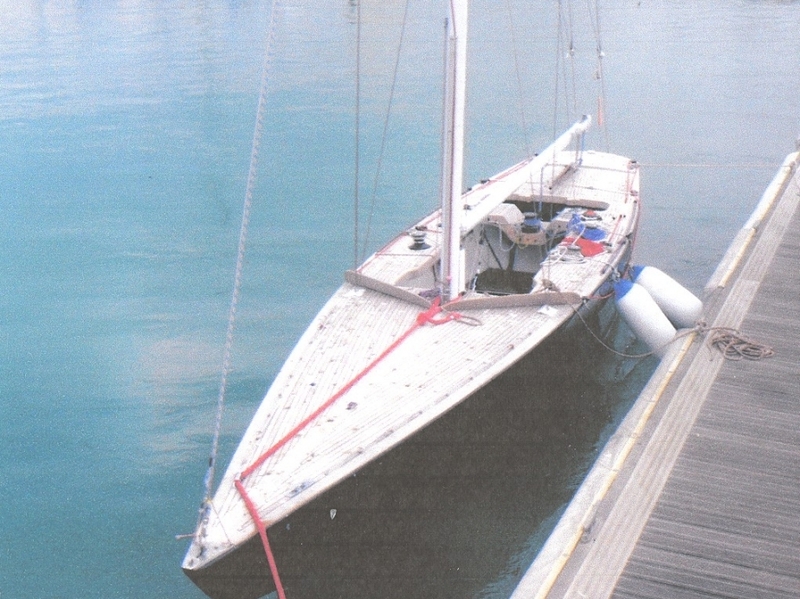 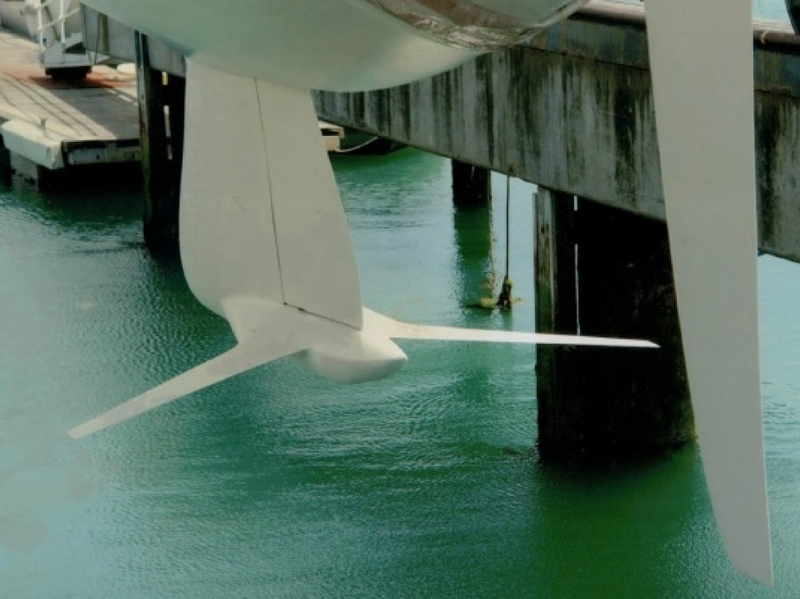 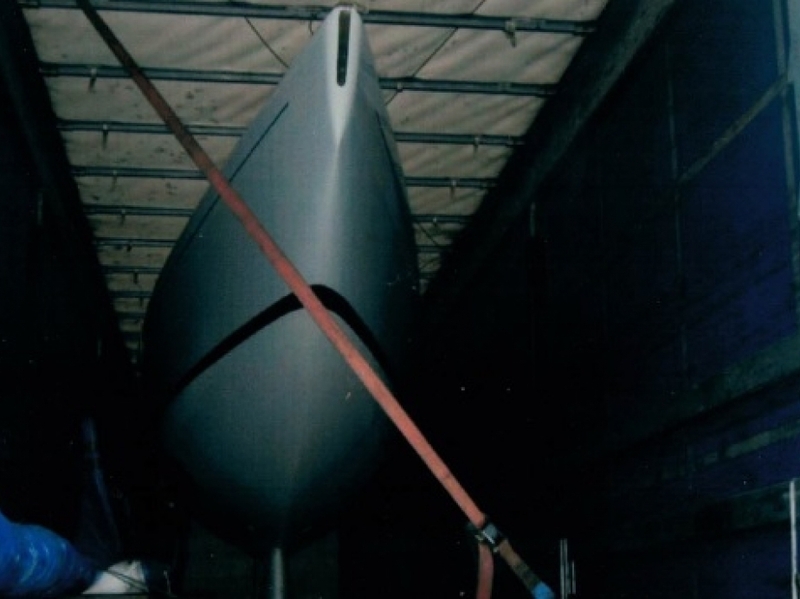 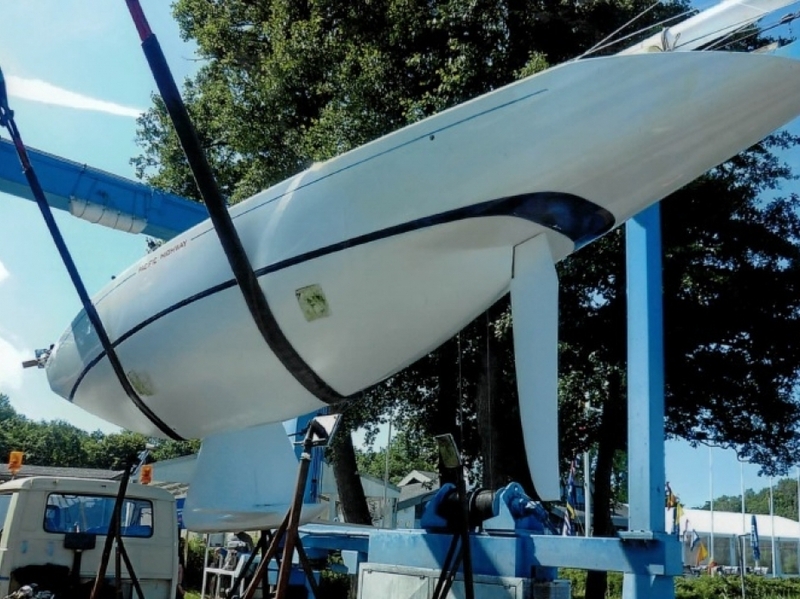 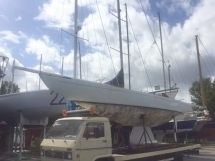 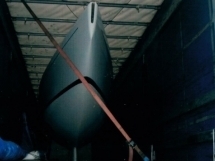 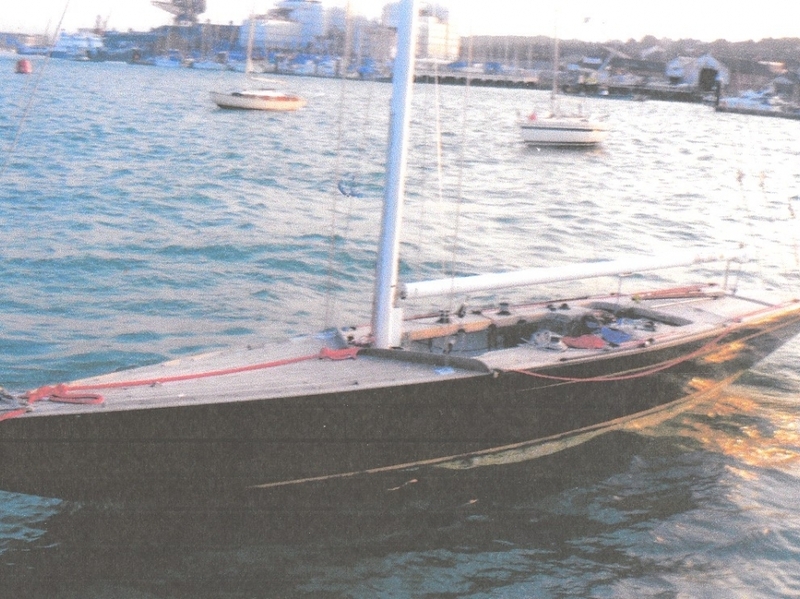 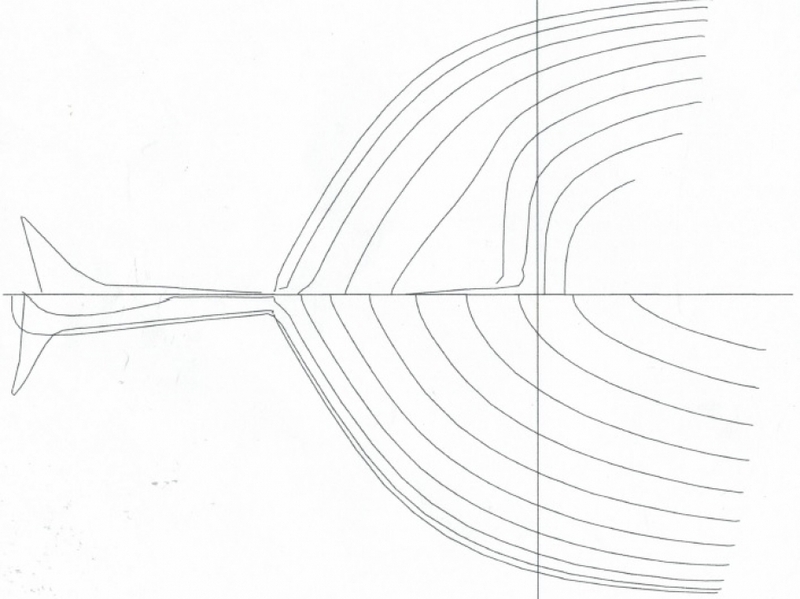 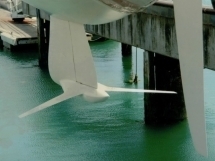 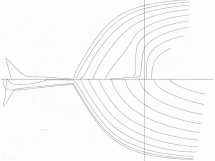 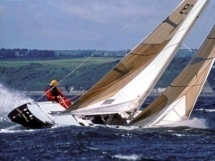 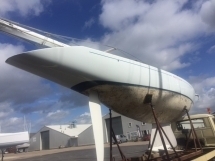 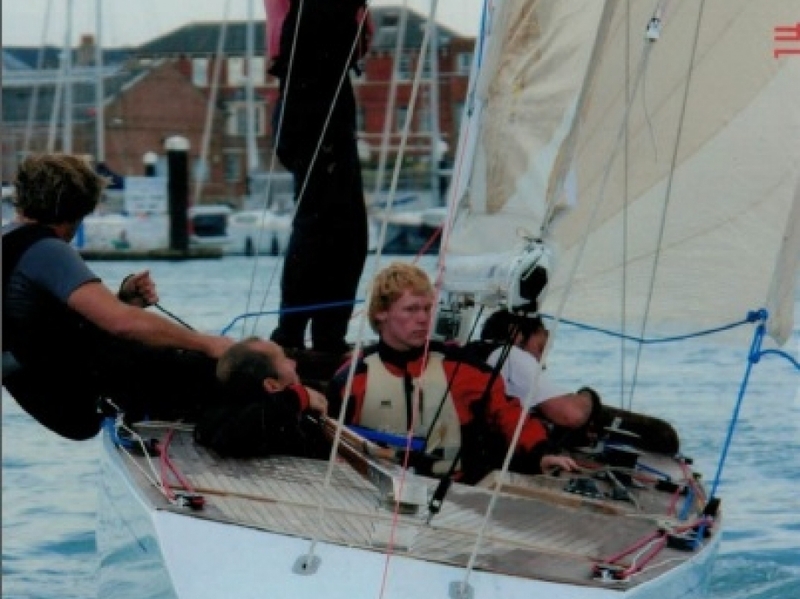 She was “Breathed on” by Ben Lexcen in 1985, including the fitting of an Australia type keel and trim tab, plus a number of other modifications to increase her sail area within the Rule. 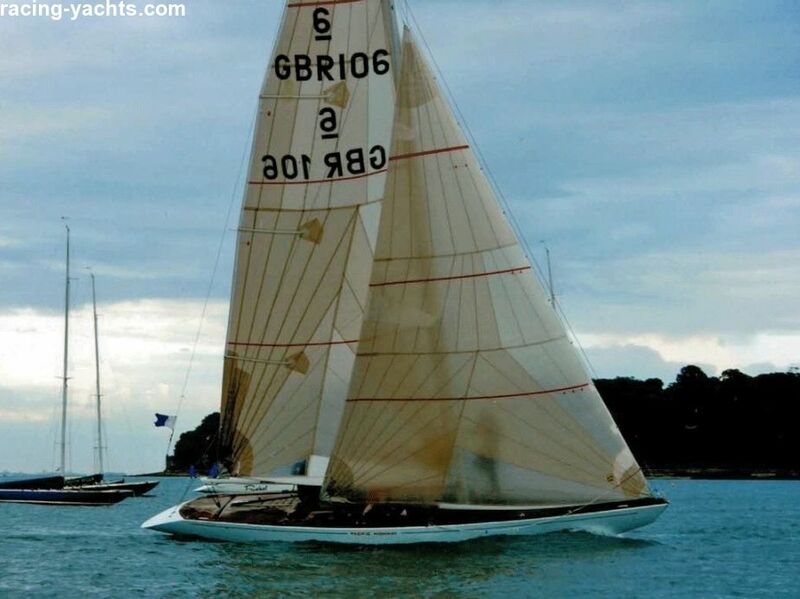 In 2006 she has undergone a further upgrade, with the replacement of the Lexcen wings with a full 2006 full span Howlett wings and a 2006 Howlett full-depth rudder, together with a comprehensive update of her instrumentation, hydraulics, etc. 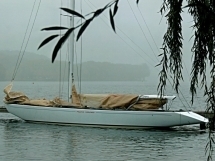 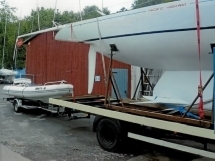 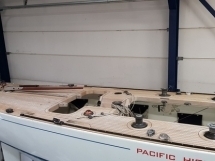 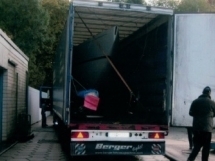 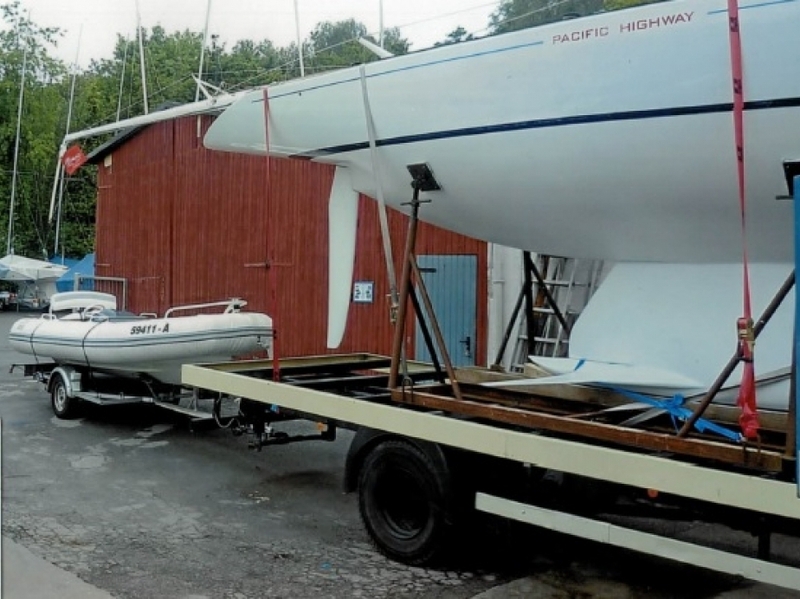 The boat has a light blue hull (pictures with the blue hull are older pictures) and a new teak deck 2008. 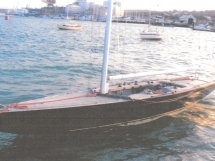 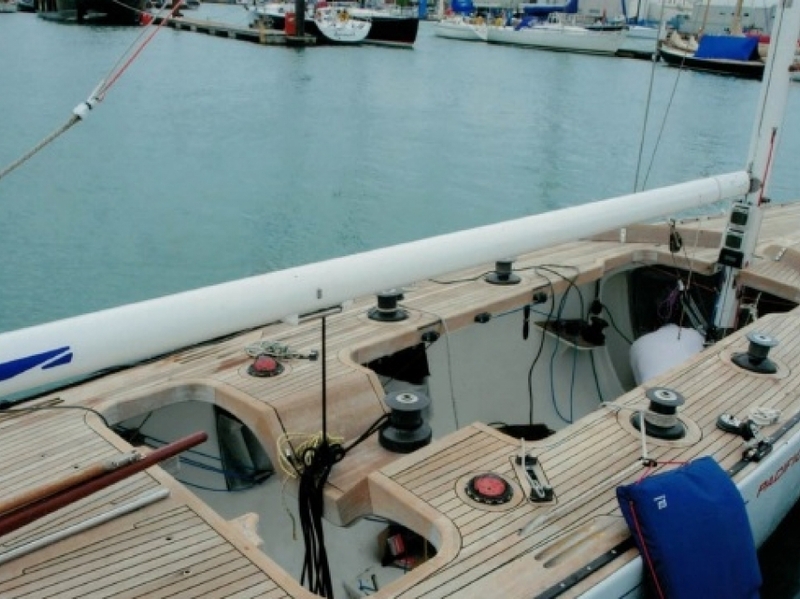 Fitted 2006, Navtec panel controlling hydraulic forestay and fore-and-aft mast ram. Teak decks (glued) - 2008. 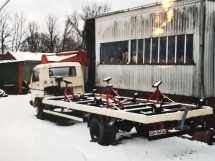 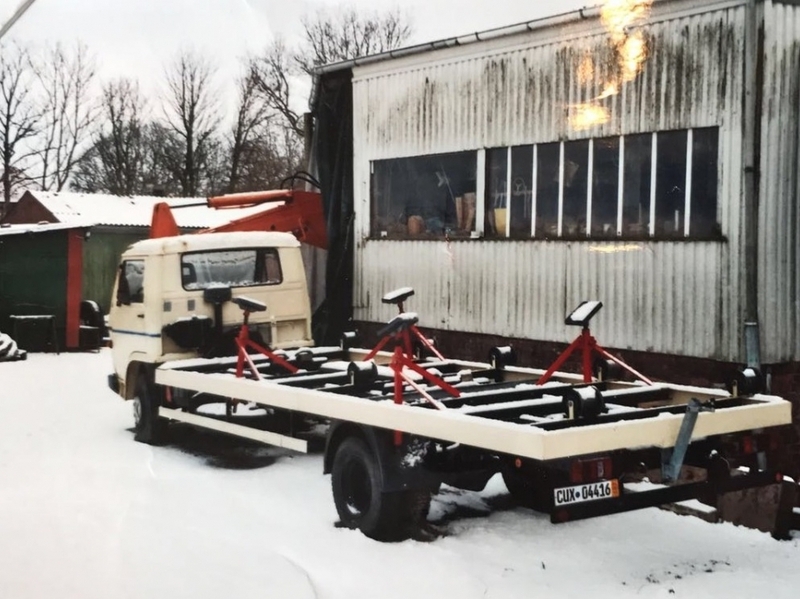 In very good condition! 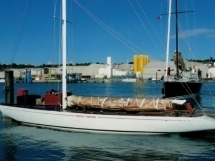 No 1 genoa, No 3 new light genoa Sanders Sails. 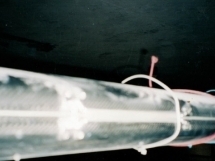 Speed and depth and Loadcell with mast display.